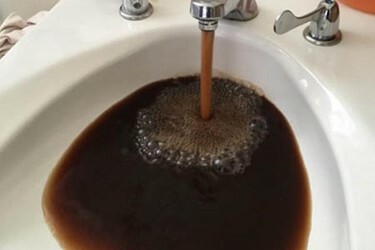 Manganese (Mn) has long been recognized as a nuisance — its brown-to-black stains and metallic taste can make well water unpleasant, to say the least. If you think of drilling a well as a process of mining water, it's no surprise that the mine also yields other minerals dissolved or suspended in the groundwater. In many areas across the U.S. and around the world, there's plenty of manganese to be found. High levels of Mn occur in the U.S. along the Appalachian and Adirondack ranges in the East. In the West, it's common along the Sierras, Cascades and Coastal ranges. Dr. Samantha Ying of the University of California, Riverside studied the Glacial Aquifer that underlies 26 U.S. states and supplies drinking water to 41 million people, and found that 16.4 percent of the wells tested were contaminated with either Mn, arsenic, or both.